For Belarus it’s the 15th anniversary in the ESC. The debut entry Belarus presented in the year 2004. The way to success was not always easy. Only six times Belarus reached the Grand Final since then. Unfortunately, there was only one Top10 song from Koldun in 2007 “Work Your Magic”. This year the Ukrainian singer ALEKSEEV has been asked to perform in the Belarussian national final and he won. 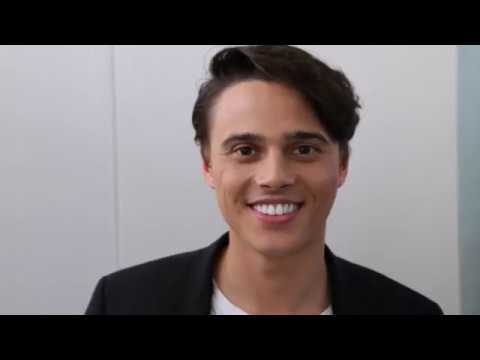 Firstly ALEKSEEV want to participate in the Ukrainian national selection. He received both the highest votes from the jury and televoting. ALEKSEEV, whose original name is Nikita Vladimirovich Alekseev, was born in Kiev, Ukraine 1993. Beside of ALKEEV’s marketing studies he was involved with music since he was six years old. In 2014 he participated in “The Voice Ukraine” and got the attention of Ukrainian super star Ani Lorak (“Shady Lady” 2008, 2nd) in the blind audition. He did not pass the first round, but his career started immediately. He released his first song "Pyanoye solntse", toured through many European countries with his band Mova. ALEKSEEV received many awards such as best newcomer in Russia (2x) and Belarus. His single “Drunk Sun” has been watched over 35 million times and he has 200.000 followers on YouTube. The song “Forever” is another love song with the beautiful textline “Rain keeps on falling, and I know you’ll be mine forever.” The soft and young voice of ALEKSEEV underline the meaning of the song. Judged by the video clip everything seems to be perfect. So it’s even more important to have a good show in Lisbon, the live singing qualities ALEKSEEV has proofed already. For Belarus it will be the 15th time in the Eurovision Song Contest. But for many TV viewers who are not watching Semi Finals on a regular basis, it will be irritating as Belarus has only been five times in the Grand Final so far in the past 14 years. The debut entry in 2004 “My Galileo” by Aleksandra & Konstantin made a 19th place but in the Semi Final only. 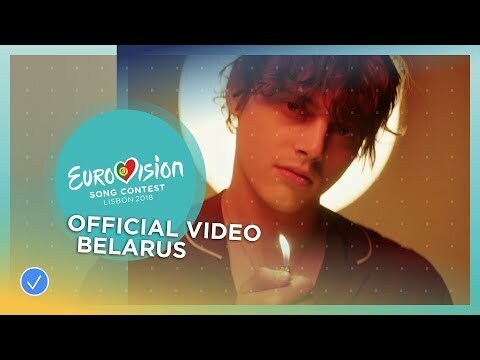 In the short history of Belarus in the ESC there was one Top10 entry – the 6th place – “Work Your Magic” by Koldun in 2007. This song has been composed by the famous Russian ESC guru Philip Kirkorov. This makes a realistic chance of 36% for Belarus to reach the Grand Final and a chance of 7% for a top 10 position. Last year Belarus had a very uplifting entry by Navi band “Historyja majho zyccia”, which could make a 17th place in the Grand Final in Kiev.